is an award-winning jam-funk band from Asbury Park, NJ. This powerhouse group, featuring screaming guitars, thumping bass. 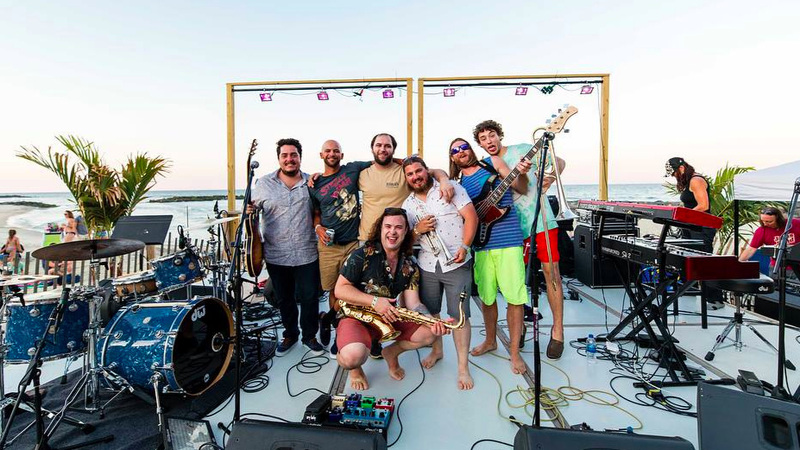 psychedelic keys, unwavering drums, and tight horns, has won several asbury music Awards, sold out The Wonder bar (Asbury Park) and currently headlines a yearly Jingle Jam at The Stone Pony, celebrating the holiday season with an elite selection of local bands. WOM has toured to New Orleans, Burlington VT, Charleston SC, and other smaller cities in the United States, and never fails to get audiences moving to their infectious sounds. No worries, we won’t sell your information or use for anything except this newsletter. Just A Taste (2017) - WOM’s First Release, this 5-song EP was recorded at Brooksound Studios, Mastered at West WEst Side Music, and features all current members of the band. Convention Hell (2018) LIVE - Set Recorded & Processed By Keith Litzenberger. Live at Convention Hall, Covering James Brown.